Anthony Footitt is a Principal Consultant with RPA, and has eighteen years of experience working in the fields of risk, economics, regulation and policy development. He has a strong, practical background in risk and economics and applying these principles to the development and appraisal of policies across a wide range of policy areas. He has managed, undertaken and written consultancy reports for more than 70 projects on a range of issues for a range of audiences and clients. Projects have covered regulation on a diversity of issues including climate change adaptation and mitigation, biodiversity, land use, toxic substances and chemical risk management, water quality, sustainability, health and safety, agriculture, soils, marine and coastal management, and many more. 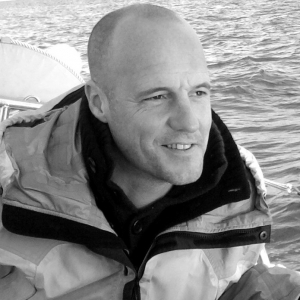 Much of Anthony's work has brought him into a position of close involvement in the appraisal and development of a number of regulatory instruments and projects both in the UK and across Europe including the Water Framework Directive, REACH, the EU Marine Strategy, the Marine Act as well as a number of other specific instruments. This work inevitably requires the development of tailor made appraisal methodologies. Most recently (2013), he has been involved in work on Applications for Authorisation under REACH and development of an economic assessment methodology to value the tourism and recreation benefits associated with the proposed designation of recommended Marine Conservation Zones in the UK (for Defra).